Earn 104 loyalty points, worth £5.20, with this purchase. 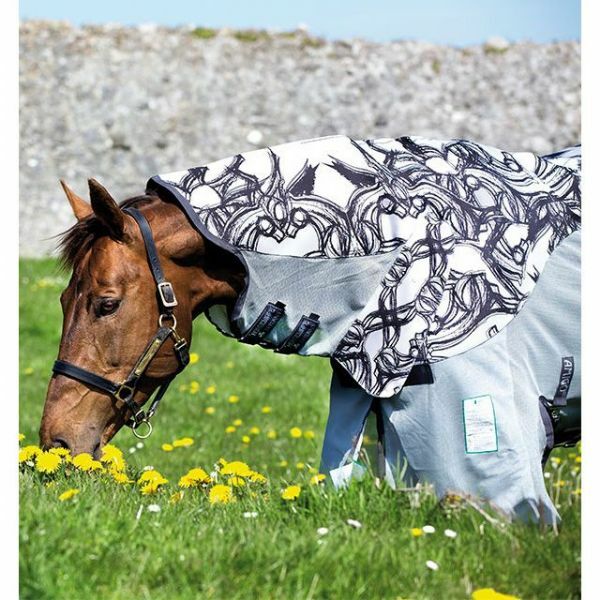 A new addition to the top selling Horseware Amigo Fly Rug range. A clever seamless design providing a waterproof top section to prevent your horse getting wet during summer showers and Vamoose treated net sides to keep the flies away. 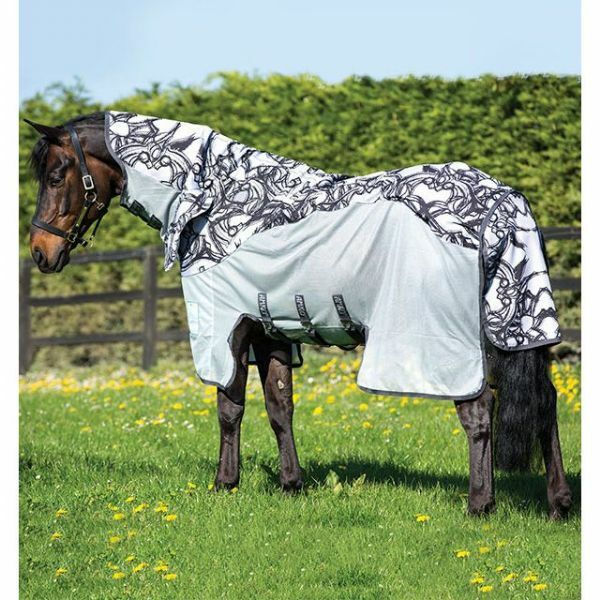 This is the perfect rug for changeable British weather, acting as a turnout and a fly rug in one. The depth of the waterproof section means that the horse will not overheat and the Vamoose treated, deep net sides allow maximum airflow with the added bonus of Vamoose fly protection. Shine enhancing polyester lining on the waterproof section and shoulders, extra long tail flap and 3 straight surcingles for a secure fit.